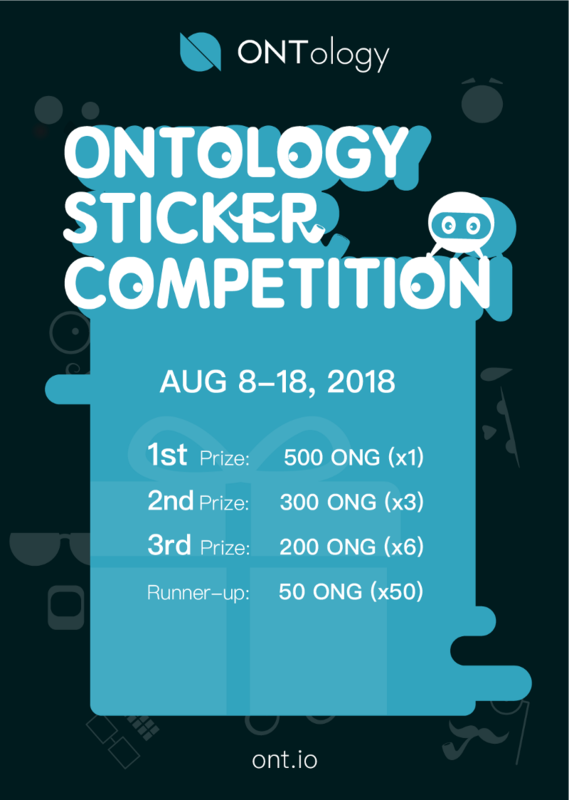 Thank you for everyone’s interest in the Ontology Sticker Design Competition! All other stickers that made the top 60 are runner-ups and will each receive 50 ONG. Below is the voting table for the top 10. The core team voting was done by LI Jun, Founder of Ontology, and Andy Ji, Chief Strategy Officer of Ontology. We have disqualified candidates we found to be involved in voting manipulation. Winners will be contacted early next week via email. Ontology, a new high-performance public multi-chain project and a distributed trust collaboration platform, has announced a partnership with decentralized blockchain music ecosystem platform Muzika. Muzika will develop dApps and a new music ecosystem based on Ontology’s underlying technology. Ontology and Muzika will also cooperate in events and community. In the past 20 years, the music industry has experienced two giant transformations: from physical records to digital music and from music downloads to online streaming. The first transformation has made music more accessible, while the second has played a key role in expanding the industry. However, this industry has its own problems: middlemen and copyright, limited fan participation, unbalanced and unclear economic distribution, and more. With the continuous development of the music industry, the revenue share of musicians who produce original music has declined, while music publishers are enjoying long-term returns from a one-off task. In this regard, there is an urgent need to build a decentralized and reliable blockchain music platform. Therefore, Muzika’s sustainable music ecosystem solution will use Ontology’s underlying technology to give fans a new identity, allowing them to be involved in any step of the industry if they wish. Fans can participate in parts of music production, allocation, consumption, and profit distribution. This will form stronger networks and allow original music to be produced and distributed fairly. By building an autonomous and reasonable digital music ecosystem, Muzika will eliminate unnecessary intermediaries and media, give more rights to musicians and fans, and eventually restore the profit balance among market participants. Muzika has over two million active users and 17,000 music producers across more than 150 countries, with rich experience in community management and user management. 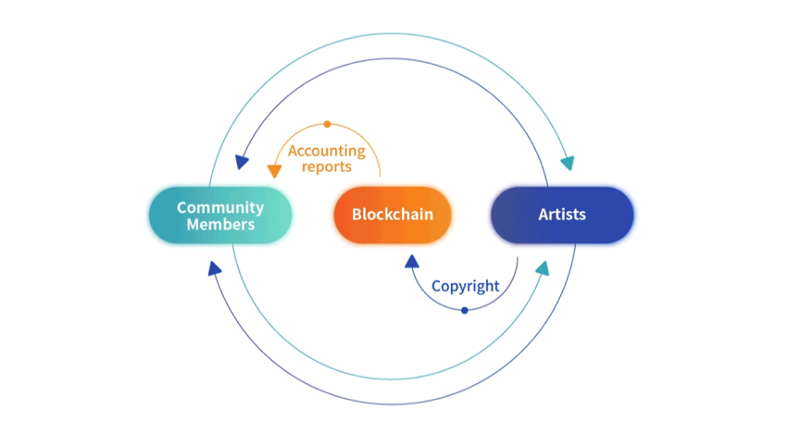 Under the direction of Ontology’s real economy strategy, Muzika can connect different aspects of people, assets, objects, and affairs in the digital system through Ontology’s distributed services to integrate the music world with real businesses, and encourage greater trust collaboration. “Muzika is creating a real decentralized digital music ecosystem for the digital music industry to close the gap of all stakeholders with an innovative structure. The cooperation between Muzika and Ontology will be a great step in this. We look forward to working together to achieve a transformation of the digital music world”. “Music has various application scenarios in our life. 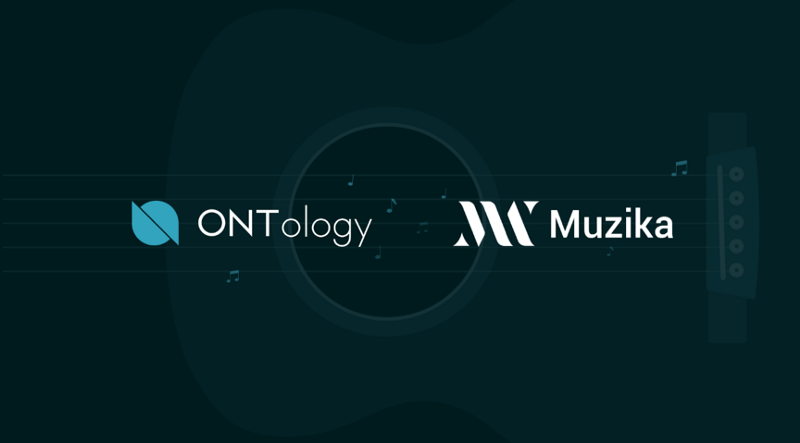 Ontology is delighted to collaborate with an innovative team like Muzika to challenge the music industry. With the development of the dApp, the relation between music producer and fan will be changed, bringing a better music user experience and achieving a more balanced profit distribution and long-term cooperation model. We believe that the integration of blockchain technology and music will create a better landscape for the future”. Muzika is a music blockchain platform with a mission to apply blockchain technology to the daily lives of the public. It aims to be the first digital music blockchain application to gain public recognition and popularity. It also has a leading core team, with all three founders included in Forbes Asia’s Top 30 under 30. The team also operates multiple platforms including Mapianist, MyMusicSheet, and KPopPiano. Muzika has more than two million active users and 17,000 music artists across more than 150 countries from Mapia’s business platform, which lays the foundation of Muzika’s success. By building a music ecosystem maintained by producer and consumer, music fans can directly participate in sponsorship and production, and have freedom and rights in consumption and income distribution. 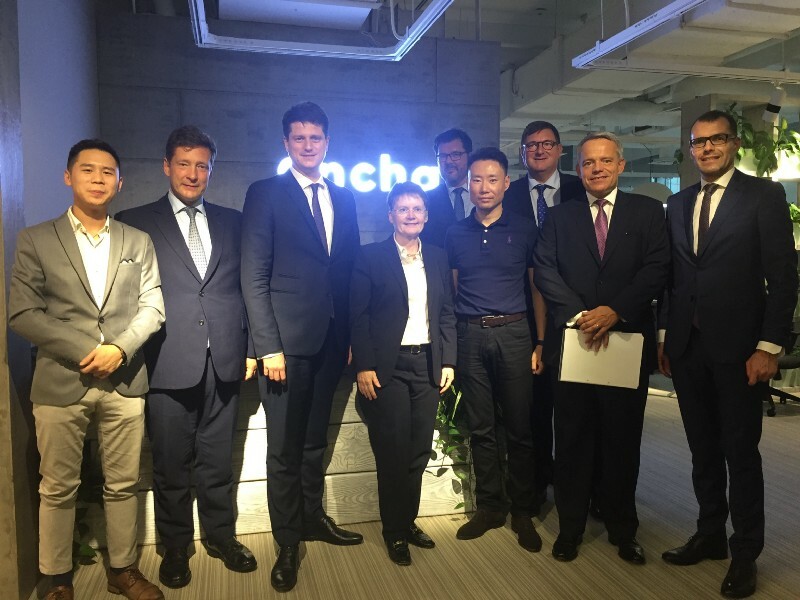 The Ontology team was pleased to receive a delegation of officials from the Grand Duchy of Luxembourg at the Ontology office in Shanghai on Thursday, September 13th. Luxembourg has established itself as one of the leading blockchain innovators worldwide. 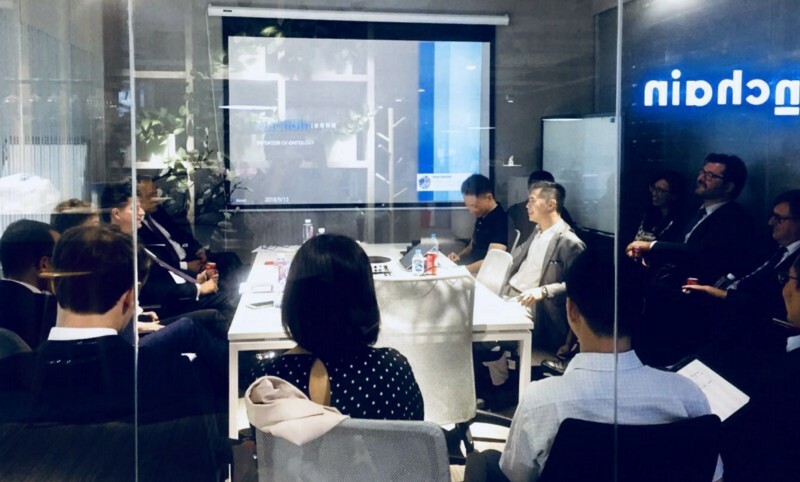 Ideas were exchanged to explore the advantages of implementing blockchain technology in various industries. Further discussions will be held to discuss potential cooperation between the Ontology team and public and private sectors in Luxembourg. Visitors included: Isabelle Goublin, Director of Treasury, Ministry of Finance; Nicolas Mackel, CEO of Luxembourg for Finance; Luc Decker, Consul General of Luxembourg in Shanghai; Rol Reiland, Deputy Head of Mission, Luxembourg Embassy in China; Bob Kieffer, First Counsellor, Ministry of Finance; David Storne, Consul, Luxembourg in Shanghai; Guy Hoffman, Chairman, Luxembourg Bankers Association; and Ma Ying, PA to the Consul General. ONTO reusable KYC provides you an easy to use and safe KYC service on the blockchain. ONTO now has several trust anchors for you to certificate, including IdentityMind. Once you have finished your certificate on ONTO and got the blockchain certification, you can use it in different application areas, such as the ones shown below. You need to make sure the image is clear. Do not block key text in the image. Avoid reflections on the key text. Q: Can I check my Ontology blockchain record on Ontology blockchain explorer? A: A: Yes, you can. You can also click on the hash of Ontology blockchain record on the page which will direct you to the blockchain record on the Ontology blockchain explorer. Q: After scanning the QR code, the waiting time to load the verification page is too long. A: Please check your internet connection and try again. Q: Is it correct that each email address or mobile number can only be linked to one ONTO account? A: No. Each email address or mobile number can be linked to multiple ONTO accounts. 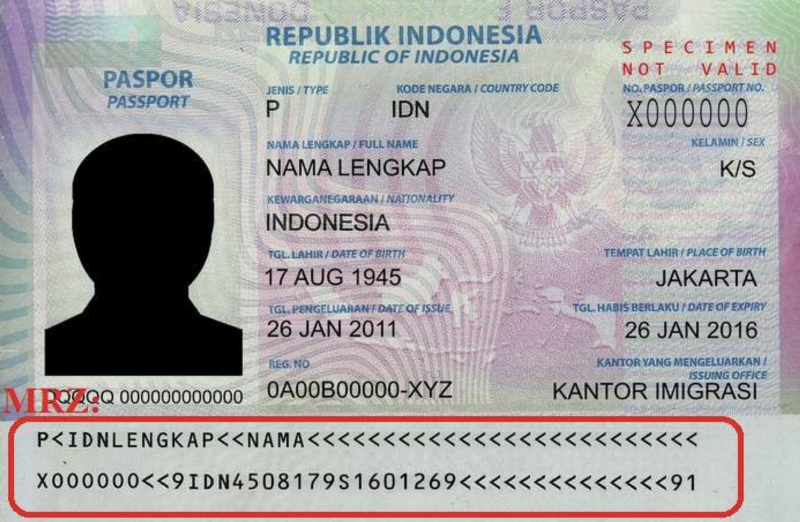 However, each ONT ID can only be connected to one email address and mobile number. Q: Why I haven’t received the verification code email after requesting the verification code? A: If you do not see the email in your inbox, please check your spam or junk folder as it may be there. 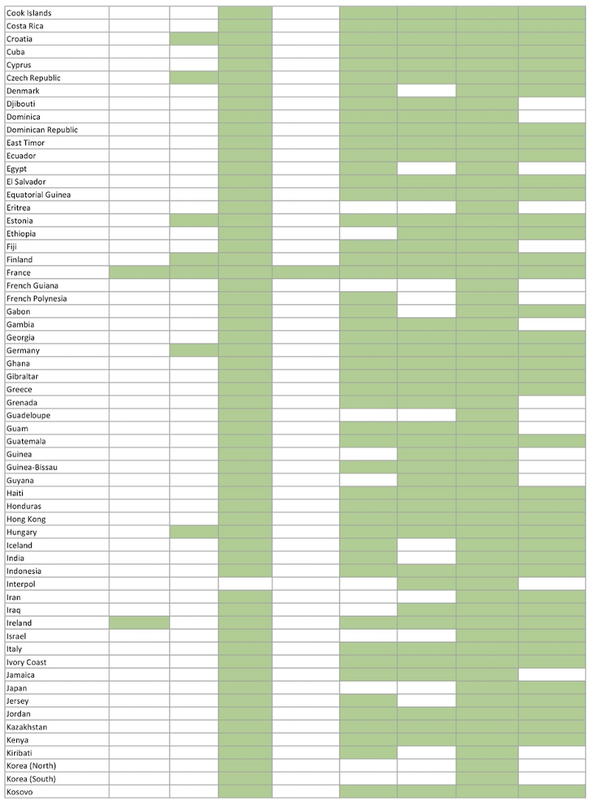 Q: Which countries/regions does IdentityMind support? Ontology, a new high-performance public multi-chain project and distributed trust collaboration platform, has announced its strategic cooperation with TOP Network to build a communication network ecosystem at blockchain application level. Ontology Global Capital (OGC) will also make an investment in TOP. Ontology will fully support the TOP Network in technology, operations, and ecosystem construction, and promote mutual development. From terminal-to-terminal connection in the PC era to person-to-person connection today, communication technology has dramatically changed the way we live. 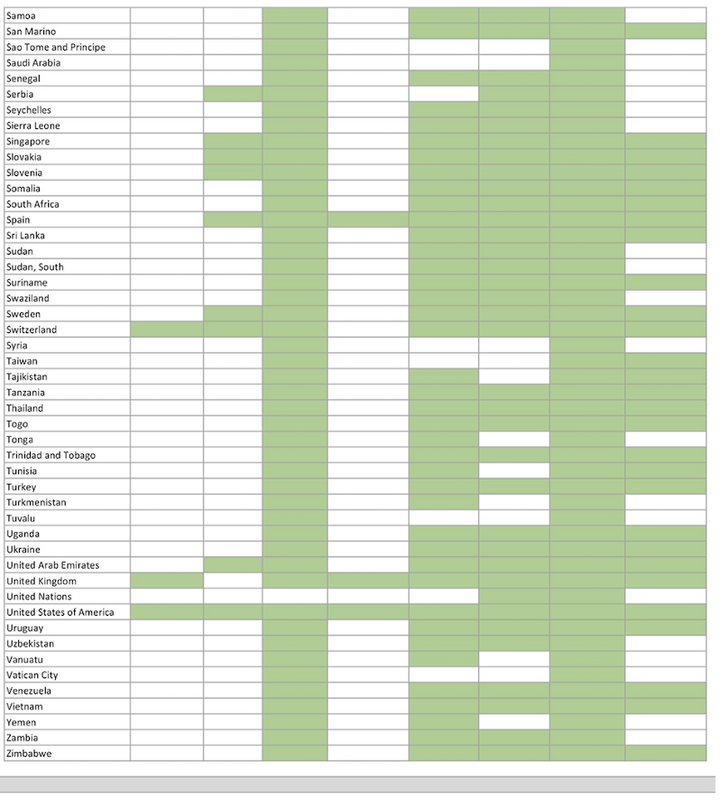 However, information islands are still created by over-centralization. Therefore, traditional communication technologies and decentralized networks need to be closely integrated to generate innovative solutions to break this. TOP is devoted to creating a distributed communication platform to provide a secure and low-cost communication cloud service for developers. 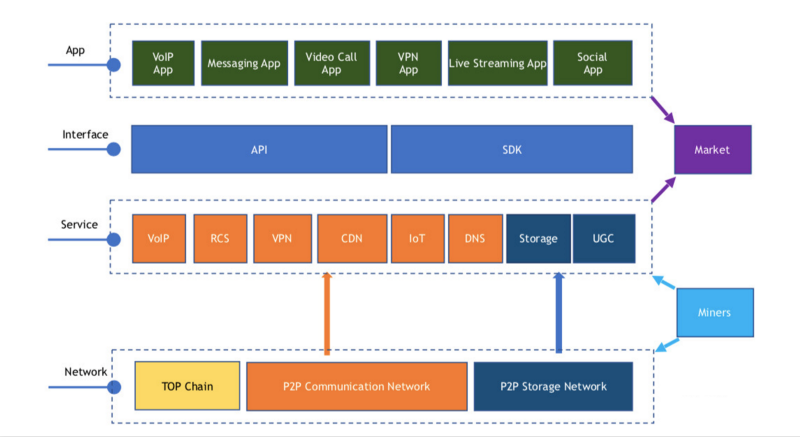 Traditionally, developers need to build their own communication stacks and deploy their own networks for communication applications and maintaining the communication network. This pattern has long development cycles, high costs, and poor network security. Top communication chain provides developers with a one-stop solution and allows them to save more than 60% expenses via building a decentralized communication network. In this cooperation, Ontology will provide the underlying basic blockchain technology, integrate blockchain systems, and provide a data exchange, data identity, high-performance smart contracts, and other services to build an open platform and ecosystem. TOP will develop decentralized applications on Ontology’s blockchain platform based on its own communication services. CEO of TOP Network, Steve Wei, was one of the early employees from WebEx, the world largest video conference provider. His original video conference software was acquired by Huawei and he has rich experience in the communication field. “Ontology is not only a mature high-performance public chain platform, but it also provides very strong basic service components such as ONT ID and ONT Data for on-chain business, which are very user-friendly. TOP communication chain will provide decentralized communication cloud services for Ontology developers and enable them to easily develop high-performance communication social applications on Ontology, which will save a large amount of development costs and communication network costs. Also, the TOP team will directly develop communication applications on Ontology’s platform, bringing a significant number of users to the Ontology ecosystem. 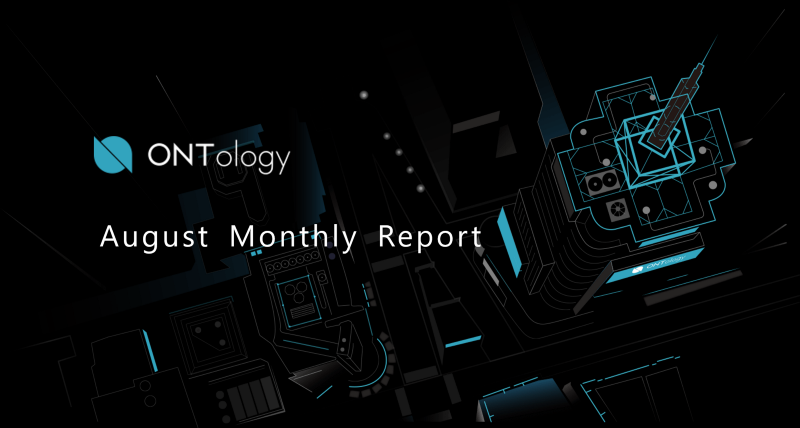 The partnership of Ontology and TOP is built on the basis of mutual benefit, which provides strong impetus for the ecosystem construction of both parties”. “With the rapid development of communication networks, information islands will be broken and the target for an ‘internet of everything’ will be more achievable. Blockchain technology will add more power to the whole development process. 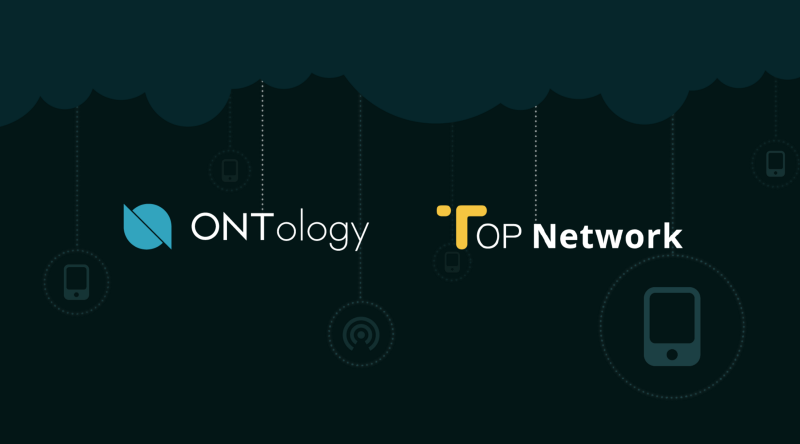 Ontology is delighted to cooperate with TOP, a blockchain-based decentralized communication network. With the accumulation of TOP’s experience in the communication industry, we will provide data exchange, data identity, and high-performance smart contracts and other services to jointly build an open platform and developer ecosystem”. TOP Network is a decentralized communication network based on blockchain technology 4.0, providing secure, high quality and low-cost communication cloud services which include messages, voice calls, video calls, VoIP, VPN, CDN, live streaming, IoT data sharing, and more. Its vision is to be the infrastructure of communication and social application in the era of Web 3.0. With more than 50 million overseas users, they will bring a huge volume of transactions to the TOP ecosystem. It will grow into a prosperous ecosystem rapidly after its MainNet launch. TOP will be a proven public chain that can handle significant business. TOP Network was founded by Steve Wei in 2017. Steve is a successful serial entrepreneur. He was an early employee in the Silicon Valley legend enterprise WebEx and has contributed the main code. After WebEx, he created a video conference software company which was acquired by Huawei in 2010. TOP Network has received eight million US dollars in early investment from well-known investment institutes such as Danhua Capital, Fenbushi Capital, NEO Global Capital, Dream Chaser Capital, and Daocin Capital. 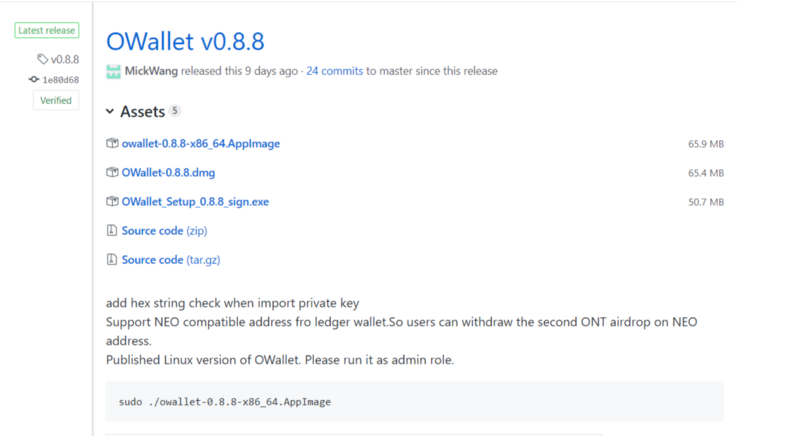 Update to OWallet v0.8.8 and make sure your Ledger app is also up to date. 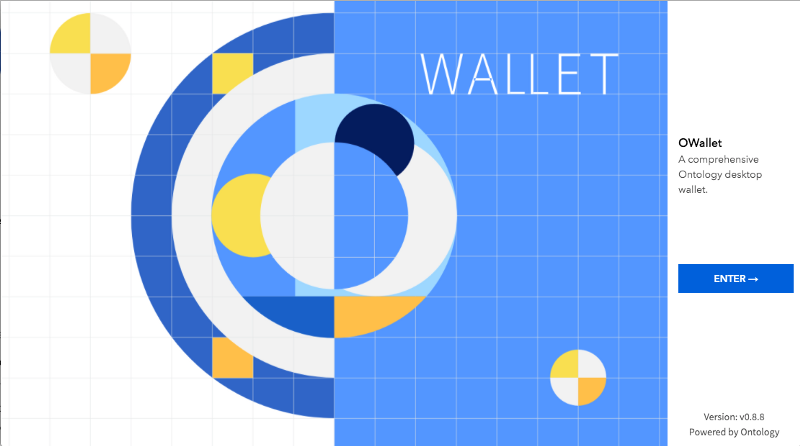 If you already have your Ledger connected to OWallet, delete it and reconnect. When you connect tick “NEO Address Compatible”, you will then see your NEO Ledger address on the Ontology MainNet, including the second half of your NEO Council ONT airdrop! Note: If you already have another MainNet ONT wallet on your Ledger, just connect again without ticking to “NEO Address Compatible” to see it. Ontology, a new high-performance public blockchain project and a distributed trust collaboration platform, has selected 4STOP to perform Know Your Customer (KYC) on the Ontology trust ecosystem. The two parties will work together to provide digital identity services, further enriching Ontology’s trust ecosystem. Empowered by Ontology Distributed Ledger Technology, 4STOP is to partake in Ontology’s trust system that integrates global certification sources to verify and authenticate people, assets, objects, and affairs. Ontology’s “real economy” strategy is to deliver robust and comprehensive multi-source identity portraits that enable stronger trust cooperation and efficiency to real-world use case scenarios. 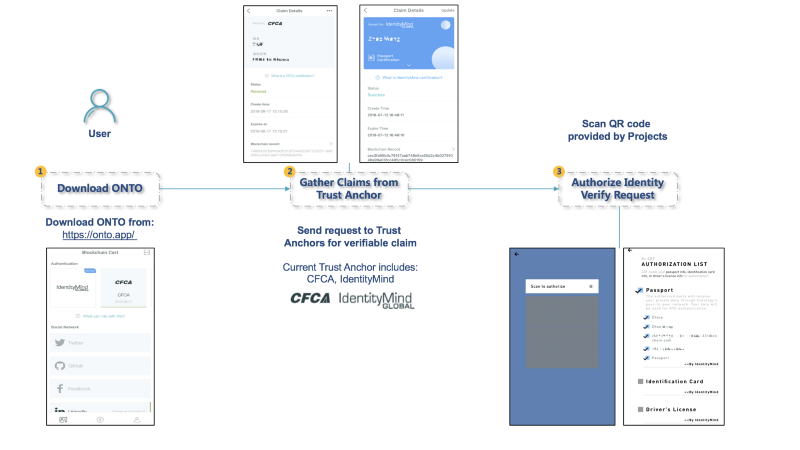 In this cooperation, Ontology will utilize 4STOP to perform know your customer (KYC) compliance requirements, further ensuring that the blockchain industry continues to advocate trust as an emerging technology. 4STOP will provide necessary services that include validation, verification, and authentication of people. “With the ever-evolving adoption of blockchain technology, we are very excited to be part of Ontology’s innovative blockchain project by providing them with further KYC services to verify and authenticate personal data across the globe. Creating a mainstream, standardized, and easily accessible compliant and trusted infrastructure is something we are both passionate about, and we look forward to Ontology’s future developments”. 4Stop, a leading fraud prevention provider solves businesses risk-based approach through a modern, all-in -one KYC, compliance and anti-fraud solution. Based in Germany and founded in 2016, 4Stop’s global compliance and risk management platform brings together their proprietary real-time anti-fraud technology with over 1800 active global premium data sources, in a single integration. 4Stop’s technology creates an unrivaled combination that allows businesses to confidently anticipate risk and are empowered to make well-informed decisions, backed by quantifiable data to manage regulatory obligations that will accelerate their business performance. 4Stop has been developed with a full understanding of compliance needs — locally and globally, today and in the future. 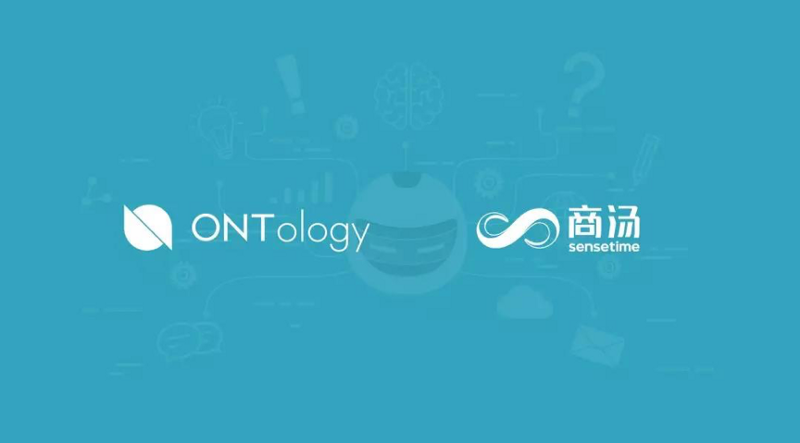 Ontology has announced its cooperation with AI enterprise SenseTime, the world’s highest-valued AI startup. Based on Ontology’s underlying public chain, SenseTime will provide various types of verification services to ensure the authenticity of user identity via identification documents, facial comparison, and other functions. These will provide support in computerization and deep learning research and application. With a mission of “uphold originality and let AI lead human progress”, SenseTime has built a world-class independent research and development deep learning supercomputer center, pushing out AI technologies in various industries including facial recognition, image recognition, text recognition, unmanned vehicles, and remote sensing. SenseTime is the largest AI algorithm provider in China. It has provided services to more than 700 companies across the globe such as Honda, UnionPay, Wanda, and Huawei, with the highest market share in many core areas such as smart cities, smartphones, interactive entertainment, automobiles, and finance. With this cooperation, SenseTime will provide Ontology with SenseID identity verification, SenseOCR general text recognition, and other AI technology support. SenseID identity verification includes video and text verification, as well as other formats, and uses multiple verification methods, such as interacting with users in real time via camera and card number recognition, to assure the authenticity and reliability of information. The SenseTime public cloud web API function can verify videos and photos sent by users using facial comparison, facial search, and other technologies to make judgments on user identities. “In this era where everything is interconnected, the integration of artificial intelligence and blockchain technology can bring limitless possibilities. Ontology is honored to cooperate with a world-leading artificial intelligence enterprise such as SenseTime. It is an innovative attempt at blockchain and AI, which will bring faster and more effective verification services. Ontology looks forward to bring more convenient and reliable verification services and high-speed experience for users, further promoting Ontology’s distributed trust ecosystem”. SenseTime is a world-leading artificial intelligence platform. The company’s total financing exceeds 1.6 billion USD and is valued at 4.5 billion USD. With a mission of “uphold originality and let AI lead human progress”, SenseTime has built a world-class independent research and development deep learning supercomputer center, pushing out AI technologies in various industries including facial recognition, image recognition, text recognition, unmanned vehicles, and remote sensing. SenseTime is the largest AI algorithm provider in China. It has cooperated with more than 700 client companies and partners at home and abroad, including world well-known companies and institutions, such as MIT, Qualcomm, Nvida, Honda, Alibaba, Suning, China Mobile, UnionPay, Wanda, Huawei, Xiaomi, OPPO, Vivo, Weibo, and iFlytek, with the highest market share in many core vertical areas such as smart city, smartphone, interactive entertainment and advertisement, automobile, finance, retail, education, real estate, and more. SenseTime has offices in Hong Kong, Beijing, Shenzhen, Shanghai, Chengdu, Hangzhou, Kyoto, Tokyo, and Singapore. For more information, please visit: https://www.sensetime.com/. Earlier this month we used comics to introduce how users will be able to authorize stakes to Ontology nodes to gain rewards. Time flies, Ontology has already carried out three consensus rounds. We’re sure the community would like to hear more about this feature. 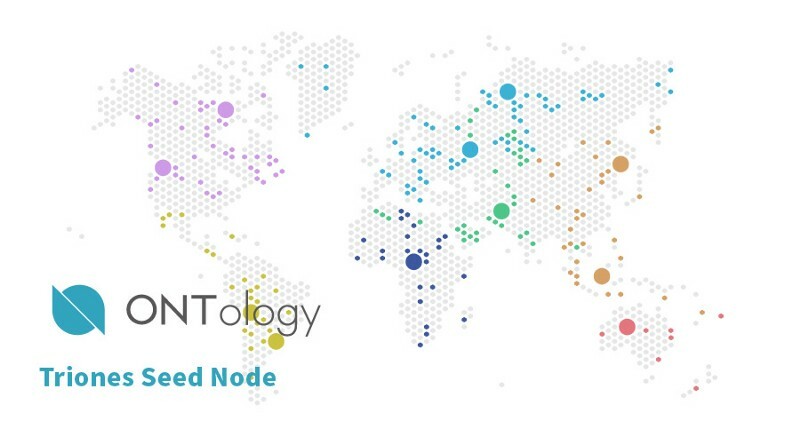 In Ontology’s governance Ontology has “consensus nodes” and “candidate nodes”, who take part in the governance of the Ontology blockchain. Have at least 100,000 ONT and complete the stake through a smart contract. How can I authorize a stake? 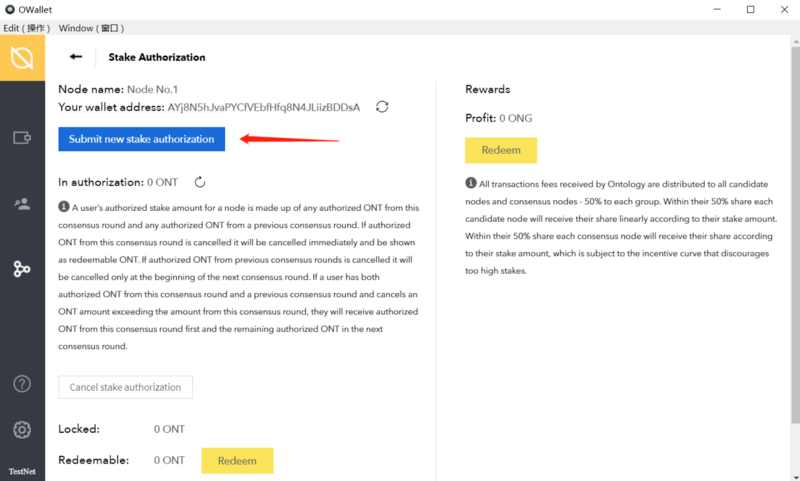 For those in the Ontology community who want to participate in Ontology’s consensus mechanism with less than 100,000 ONT, they can delegate their own ONT (in multiples of 500 ONT) to other nodes and gain rewards with them. Take this process as an example. Step 1: Download OWallet (Windows/macOS/Linux). Step 2: Open OWallet and find “Stake Authorization”. Step 3: View the node list. After selecting a node, click on the arrow, select the wallet where your ONT is, and enter the node stake authorization page. Note: You can click on the “Stake History” button in the upper right corner to see authorized stakes you’ve already made. Of course, try to choose the node with the highest reward proportion! 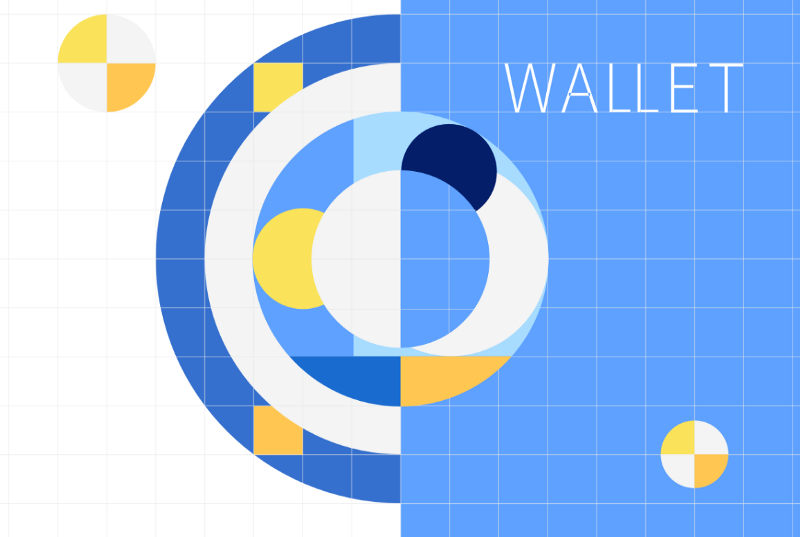 OWallet also supports Ledger wallet to complete authorized stake. 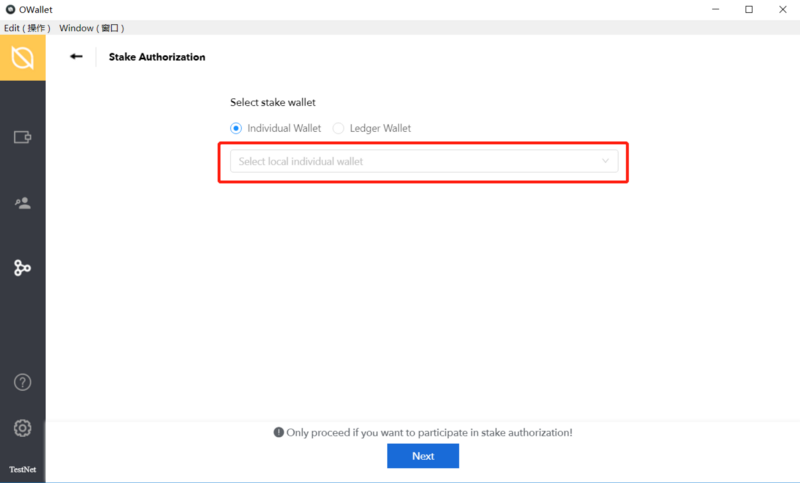 Just select “Ledger Wallet” in step three. 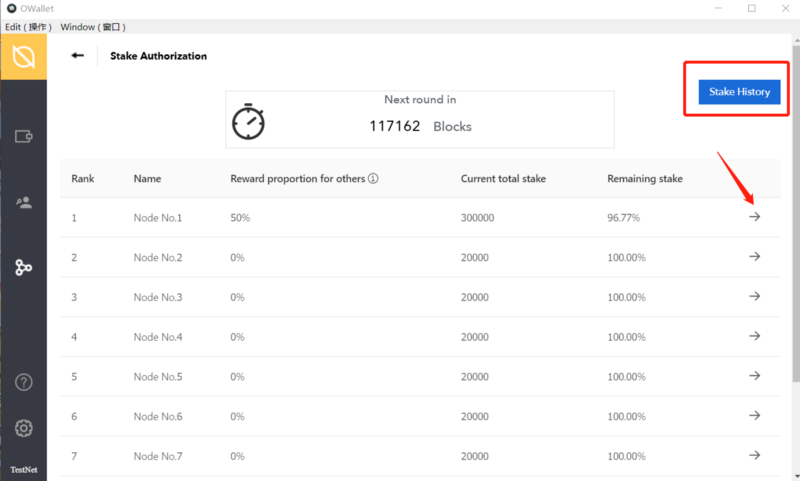 Step 4: Click the “Submit A New Stake Authorization” button and select the number of ONT units you would like to authorize for a stake (500 ONT per unit). Enter your password to confirm and the authorized stake is complete! 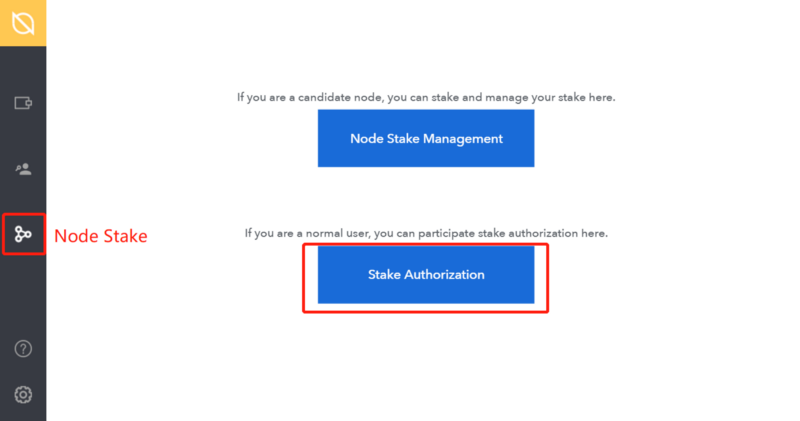 From the above authorization process, we can see that both your stake and the node’s can be canceled at your own will. Nodes may also be knocked out in the next consensus round (every 120,000 blocks) if their stake falls below others. How much do nodes earn? Excited? Authorize your stake now! Ontology and Shufti Pro signed a Memorandum of Understanding concerning KYC/AML technology integration. The two parties will work together to provide digital identity services and cultivate Ontology’s trust ecosystem. Digital identity is core to Ontology’s infrastructure. Ontology uses ONT ID as complete distributed identity framework supporting identity verification and authentication for people, assets, objects, and affairs. Ontology’s distributed identity framework was created for users to build their own multi-factor identity portraits which they can authenticate, certify, and use. Whereas: Ontology is a distributed trust network that focuses on digital identity, data exchange, and other trust collaboration scenarios. Shufti Pro is a fully automated and customizable KYC/AML SaaS service provider, supporting global comprehensive verification solutions. 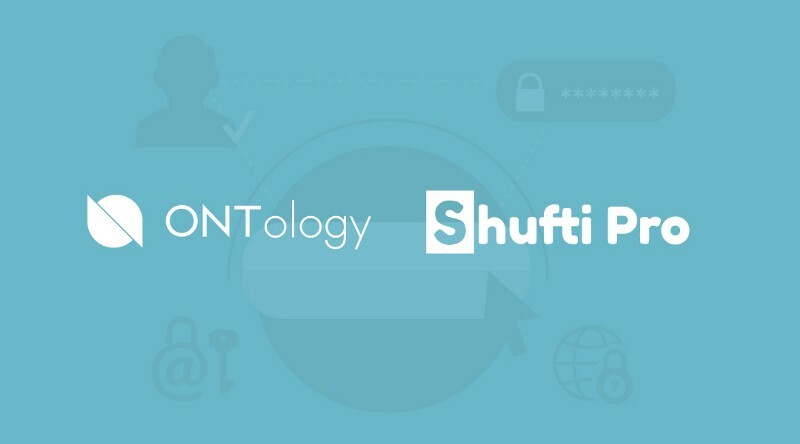 Both Ontology and Shufti Pro share a common understanding and vision to promote user-friendly and innovative identification tools and applications to enhance user experience based on cutting-edge technologies. Purpose: Ontology and Shufti Pro together will seek to provide compliance-ready KYC/AML solutions based on the Ontology blockchain network. Improving accessibility to various markets that are exploring new methods to facilitate client on-boarding in highly regulated industries. Joint PR and marketing promotion of products and services. “We are pleased to be starting our partnership with Ontology. We have followed their progress with interest for some time, and now is the right time to move forward. We believe that the combined use of new and innovative blockchain technology with cutting-edge ID and identity verification technology is a powerful combination for global business operations”. “The emergence of blockchain technology creates opportunities across to discover potential and promising solutions. Ontology is pleased to begin this journey with Shufit Pro, combining blockchain technology with identity verification services, providing a blockchain-based end-solution for KYC/AML services”. Shufti Pro enables clients to verify and screen anyone — anywhere — at any time with an industry leading 30 seconds verification time on average. Shufti Pro is fully automated and customisable plus having a component of HI, the KYC and AML SaaS is able to meet the latest market standards and compliance requirements. Their clients have global verification reach on any mobile or browser. For more information, please visit: https://shuftipro.com/. 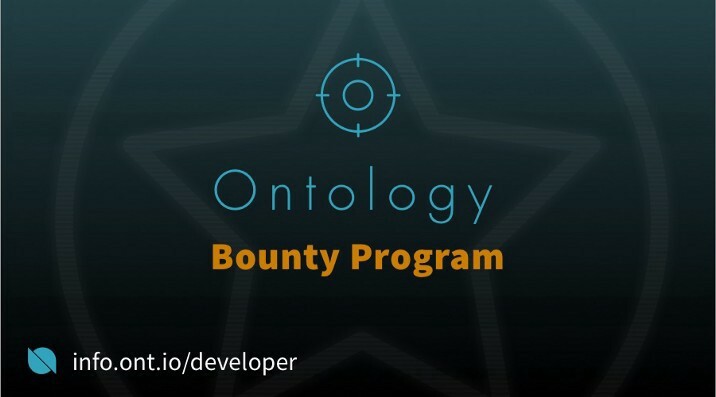 See the full details on the bounty page on the Ontology website. Are you a developer? We recently announced our global hackathon series, check out this article for more. 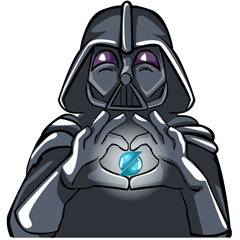 Also, make sure you have joined our technical community on Discord. Today Ontology, a new high-performance public multi-chain project and a distributed trust collaboration platform, announced the second round of Ontology Triones seed node recruitment plan and rules. The recruitment will begin on October 15th, 2018, and end on November 8th, 2018. Candidates can register through the Ontology official website. In addition to receiving ONG from basic consumption of the entire chain network system (network fees, storage fees, smart contract fees, and fees from other services), to encourage participation in consensus participating nodes will also receive an additional 1% ONG per year from the community incentives allocation. Ontology is committed to building an open-source, open-minded, and collaborative distributed trust ecosystem. This relies on the technology, applications, and governance of the entire Ontology chain network. Ontology will use the Triones Consensus System for the chain network. The system provides distributed, high-performance expansion support with an incentive mechanism to achieve a comprehensive and balanced governance model. The nodes are composed of communities, professional organizations, and technology enthusiasts from across the world. They will constitute Ontology ecosystem co-builders, together helping develop Ontology’s trust ecosystem. Learn more about the Triones Consensus System and its Economic Model. Seed node candidates must have a stake of at least 200,000 ONT. 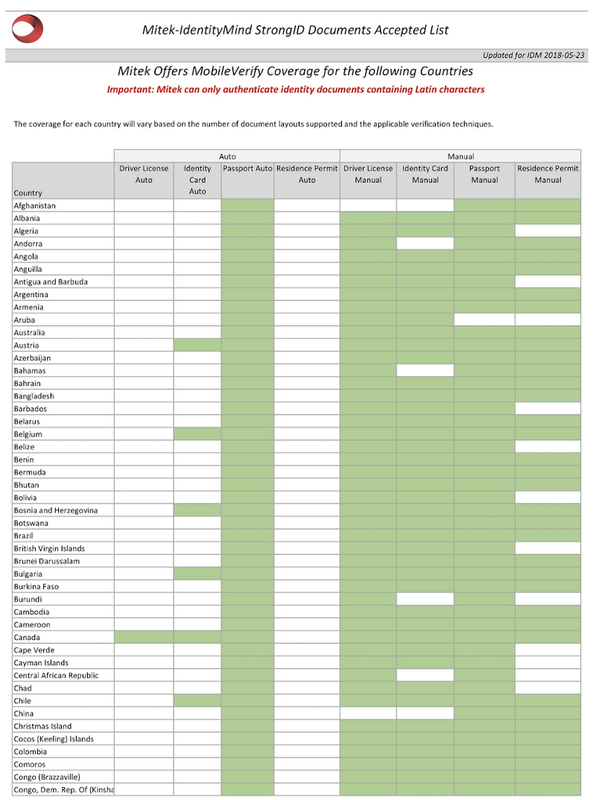 Seed node candidates must meet the software and hardware network environment requirements. Seed node candidates must complete the application questionnaire. 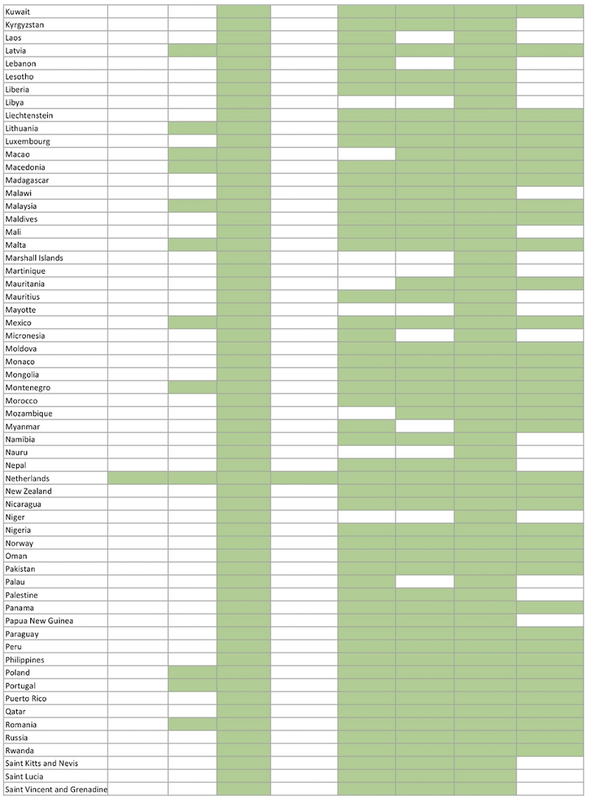 Seed node candidates must promise to complete ONT ID trust certification. Ontology will also open another stake competition for the consensus node spaces, further details will be available at the end of the month. You can read the application terms here and submit an application here. 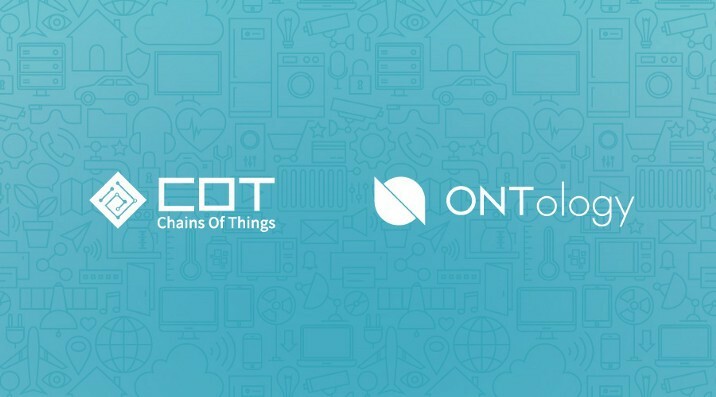 After much work, Ontology and COT have made progress with joint research and development into IoT blockchain platforms. 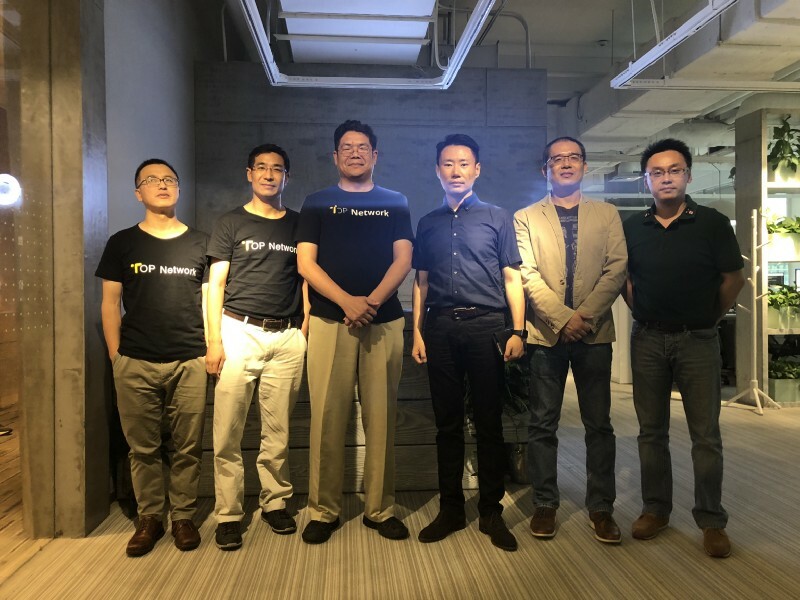 The teams have completed the first version of BFT-based consensus algorithm and COT token model research, as well as completed the preliminary construction of a blockchain-based intelligent hardware solution platform. Considering the diversity of IoT intelligent hardware, the joint R&D team focused on the versatility of the platform and made a comprehensive plan for the R&D direction using market research data. The platform will serve IoT and intelligent hardware systems, providing verification, real-world testing, and commercial use of blockchain technology in IoT and intelligent hardware. Ontology and COT proposed the “2+1” token model — its first adoption by IoT and intelligent hardware. This uses the governance token (ONT) and utility token (ONG) as the core dual-tokens, along with a third token for different actors in the ecosystem. This highly scalable economic model enhances the flexibility and versatility of the ecosystem and provides a viable solution for IoT enterprises to operate on-chain. It not only lowers the threshold for enterprises to provide distributes services, but it also empowers blockchain adoption in real business scenarios. The joint R&D team has built an intelligent hardware solution platform — “NUWA” — in order to provide a test environment and simulation environment for intelligent hardware solutions. The team has completed the overall structure design and parts of the module design, and in the next phrase they will start turning to module construction and testing. 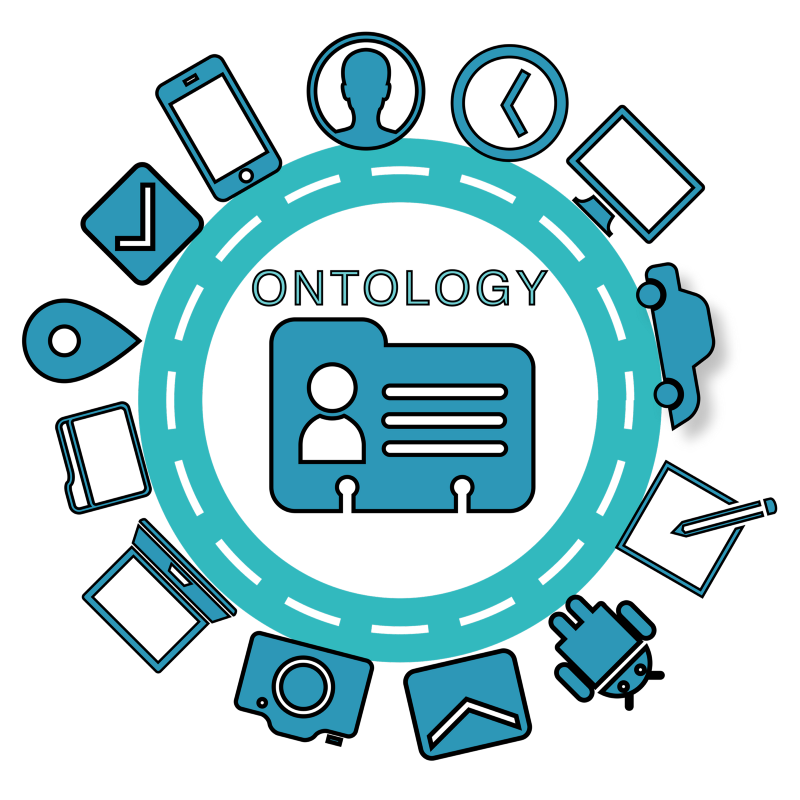 “There is a strong cooperation between the COT and Ontology development teams here. The rich experience and professionalism of the two teams from different fields ensures the persistent development of the project. We are fully engaged in the research and development plan and look forward to achieving more exciting results in blockchain technology application in IoT”. “Ontology architecture supports a public chain network system. In addition to providing basic public chain services, the Ontology blockchain framework supports public chain customization of different applications and supports network collaboration through different protocol groups. I’m glad that Ontology and COT have officially started working together to develop the first ecosystem based on the Ontology chain network. I look forward to continue to enrich ecosystem development of blockchain, IoT, and real businesses”. Ontology uses a dual token model. ONT is a coin and can be used for staking in consensus, whereas ONG is a utility token used for on-chain services. ONT releases ONG periodically. Read more about ONG here. 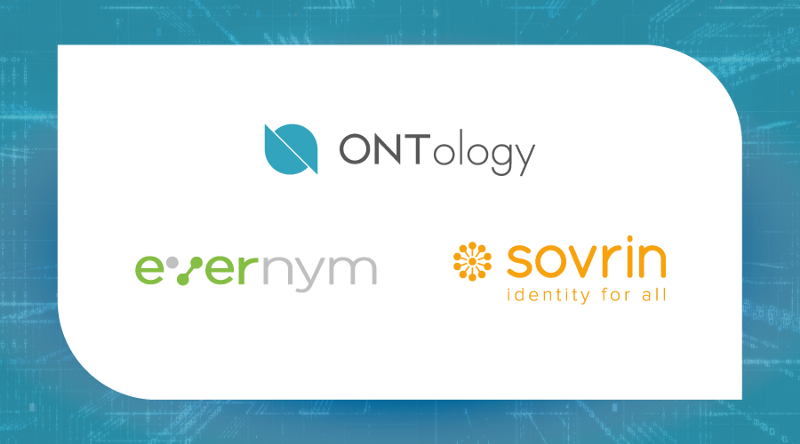 Ontology has officially announced its partnership with Evernym and the Sovrin Foundation. The parties will collaborate on decentralized identifiers (DIDs) and verifiable credentials in an effort to further interoperability in the self-sovereign identity community. Bringing together the leaders in decentralized identity from the East and the West, this partnership aims to influence the landscape across the entire identity industry: “No single company can ‘win’ universal identity, but we believe one technology can”, said Chair of the Sovrin Foundation Board of Trustees and recognized identity pioneer Dr. Phil Windley. In current identity management systems, we do not own our digital identity, we borrow identities from each of the websites or apps we use, which is inefficient, unsafe, and invasive of our privacy, not to mention it is stored in huge databases which we have witnessed can be misused. The Sovrin Network is designed to support interoperable, secure, and private identity management solutions and bring the trust, personal control, and ease-of-use of analog credentials — like driving licenses and employee ID cards — to the internet. The three parties aim to build the tools for users to privately collect, share, and control their own digital credentials. Evernym designed and built the initial code for the Sovrin Network and donated it to the Sovrin Foundation. Their vision is that digital credentials can be rooted in different ledgers, while remaining seamless for the credential holder. Likewise, Ontology’s ONT ID uses W3C DID specifications to allow for a self-sovereign identity realized with verifiable claims; digital identity you own, not just control. The parties will outline a strategic roadmap for collaboration to facilitate claims exchange and other interactions across ecosystems. They will collaborate on decentralized identifiers (DIDs) and verifiable credentials, explore interoperability, and collaborate on cryptographic systems for zero-knowledge proofs, which allows a “prover” to assure a “verifier” that they have knowledge of a secret or statement without revealing the secret itself. Regarding the greater community, Evernym will introduce Ontology to, and assist in its onboarding to, various working groups and collaborations underway, including community initiatives like ZKLang and a shared crypto library. The parties will also collaborate in other areas, for example working on achieving the highest privacy standards such as meeting the stringent guidelines imposed by the European Union’s GDPR. “After meeting with the Sovrin and Evernym teams, we realized we have the same vision of developing DIDs and bringing trust to the internet. Our collaboration will ensure the highest standards of self-sovereign identity and we are excited to work together as a leading consortium in the industry”. “When I first read some of the writings from Ontology, it was obvious that our approaches to Self-Sovereign Identity (SSI) were aligned. It only made sense that we work closely to ensure interoperability, and that privacy is not only protected, but enhanced. And when our teams met, we just clicked. It was awesome, and I am excited for the relationship”. “Digital identity is a global problem that requires a global, interoperable solution. The Sovrin Foundation is delighted to be collaborating with Ontology on the development of the open source Hyperledger Indy codebase. This mutually beneficial effort will help drive the development of self-sovereign identity forward and ultimately supports Sovrin’s mission of creating a system for identity for all”. Founded in 2013, Evernym helps organizations implement self-sovereign identity (SSI) through technologies that enable any person, organization, or connected thing to identify, authenticate, and connect peer-to-peer with any other person, organization or thing, without a platform in the middle and without contacting third parties. Evernym also helps individuals to manage and utilize their self-sovereign identity. Learn more at evernym.com. The Sovrin Foundation is a nonprofit organization established to administer the Trust Framework governing the Sovrin Network, a public service utility, enabling self-sovereign identity on the internet. The Sovrin Network is operated by independent Stewards and uses the power of a distributed ledger for giving every person, organization, and thing the ability to own and control their own permanent digital identity. Evernym was the original creator of the Sovrin open source code base. While Evernym is legally separate from Sovrin, understanding the connection is critical. Evernym knew that a global public utility for self-sovereign identity couldn’t be owned or controlled by anyone or it wouldn’t be self-sovereign. So Evernym worked with the global digital identity community to establish the independent Sovrin Foundation and contributed the open source code to the Linux Foundation where it became the Hyperledger Indy project. ONTO Candy Box Halloween Events: Earn Pumpkins and ONG! To participate in both of the events you must first complete Twitter and Facebook authentications and hold 1 ONT for a minimum of three days in your ONTO! Haven’t held 1 ONT for a minimum of three days? Don’t worry, the Halloween events end at 23:59 (UTC) on 4/11/2018. As long as you hold a minimum of 1 ONT for a minimum of three days before the end you will still be able to participate in the two events. You will be able to collect nine randomly colored pumpkins in one go. If you collect one of each color you will be able to redeem them for a gold pumpkin, but this will require you to trade with others. How to find people to trade with? Invite your friends to ONTO or meet others in our Telegram group. The gold pumpkin will be able to be exchanged for a special prize. Come back soon to find out what! This event is straightforward. Once you complete the authentication and hold requirements above you’ll be able to earn 1 ONG in your Candy Box! The pumpkin smart contract is a sample of the OEP-8 smart contract. The OEP-8 smart contract allows you to transfer different crypto amounts and types from one address to another, or in batches. 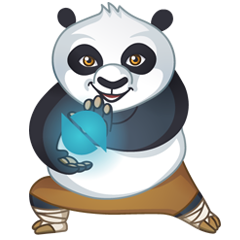 It combines the advantages of fungible OEP-4 tokens and non-fungible OEP-5 tokens, satisfying the intense requirements of certain scenarios, including but not limited to blockchain games. How can I trade pumpkins tokens? Your pumpkins are tokens in your ONTO address which you can trade just as you do with your ONT and ONG. Why can’t I see my pumpkins tokens? You need to update to ONTO version 0.9.10 to view your pumpkins. Ontology has announced a partnership with game platform and content community MIXMARVEL to build blockchain-based games on the Ontology platform. MIXMARVEL will develop applications using Ontology infrastructure, airdrop to the Ontology community, and participate in joint branding and marketing activities. 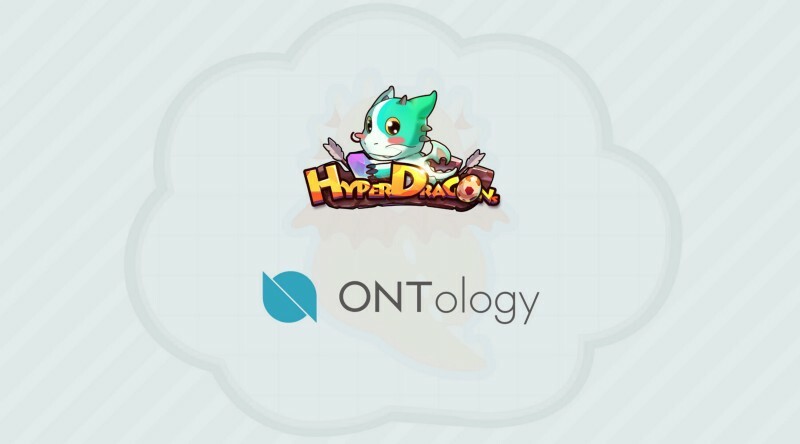 At the same time, HyperDragons, one of the top dApps on the Ethereum blockchain, will use the Ontology platform for the first time. The two sides will use this popular game as a benchmark to develop more blockchain-based games. The Ontology public chain and MIXMARVEL platform will jointly provide developer-friendly SDKs to enrich dApps on the Ontology platform and bring more traffic to the blockchain. MIXMARVEL has been committed to reducing barriers for everyday users to participate in blockchain technology by providing a one-stop shop for blockchain games. 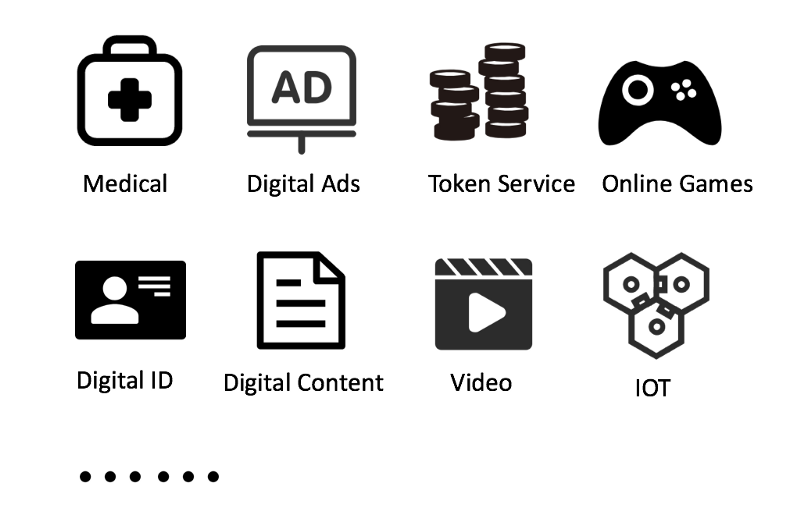 MIXMARVEL also allows players to acquire digital assets and use them on the platform, and provides markets and modules that enable players to autonomously create free games. “Blockchain is a hot technology and the blockchain gaming industry is one which the public can easily participate in. 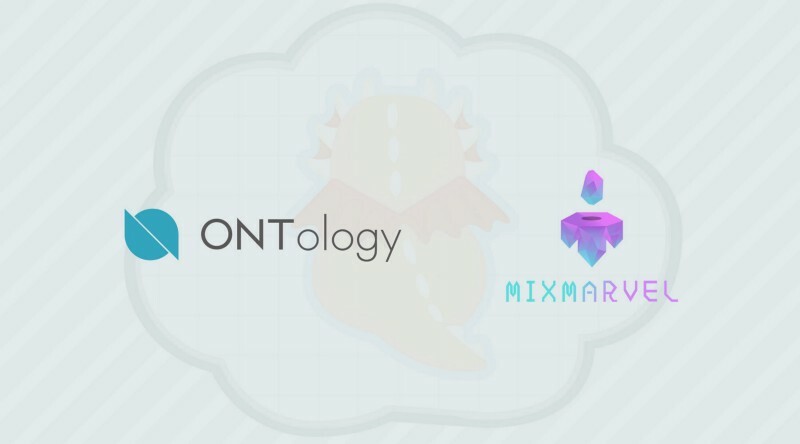 Ontology and MIXMARVEL will work together to give a more exciting experience for HyperDragons and bring more fun to the Ontology ecosystem. It also makes blockchain technology, which seems unreachable to many, something they can intimately play with. This is important for the long-term adoption of the technology. This is not only another innovative application of Ontology technology, but it also highlights the power and versatility of the Ontology chain network system”. 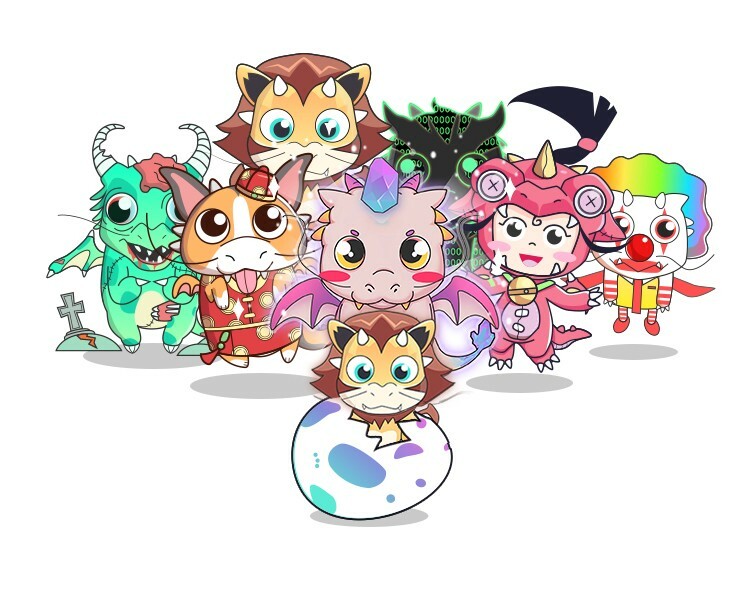 Since March this year, HyperDragons has been ranked top five in the global blockchain game rankings. The release of the “Rocket Arena” at the end of September solved the blockchain gaming industry’s slow network and high cost problems, leading it to become the world’s number one decentralized game, overtaking CryptoKitties. Moving forward, Ontology and MIXMARVEL will work on public chain technology and dApp development together to foster the next generation of our internet. 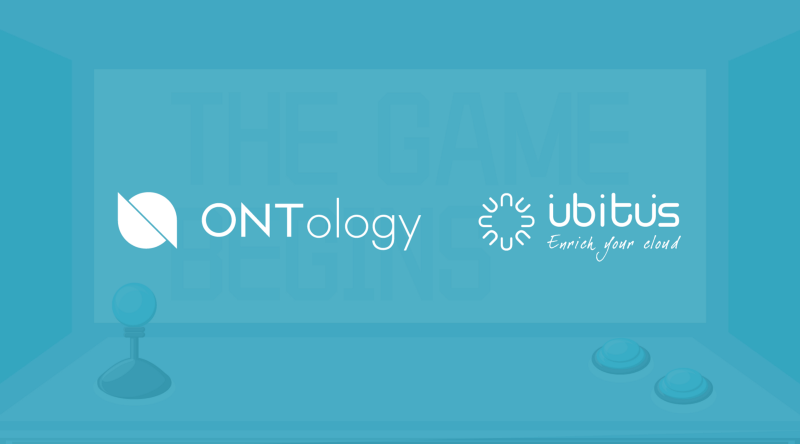 Ontology has announced a strategic partnership with Ubitus, a world-leading cloud gaming platform and the largest GaaS (GPU-as-a-Service) service provider in Northeast Asia. Ontology will provide comprehensive blockchain technology support for Ubitus, including data exchange, data identity, smart contracts, and other services. Both parties will work to build a decentralized AI computing ecosystem at application level to support the game industry and cross-chain development. After AlphaGo defeated the world champion of Go, the public realized the extent to what AI could achieve. Likewise, the machine learning world, opened up by open-source DeepMind, amazed the scientific community. Now, the game industry has also carried out research in AI and deep learning. Game design with AI not only improves user experience, but also expands to new industrial applications such as medicine and unmanned vehicles. Thus, the game industry and AI have become an important part in the development of modern science and technology, and their deep integration will continue to bring more remarkable changes. However, in some situations, the limitation of professional talent and equipment resources has resulted in technical barriers, which makes the formerly booming game industry overly centralized, which has had negative effects on creativity and innovation. Based on the UbiDocker virtualization technology developed by Ubitus and combined with their experience in cloud gaming and computing, Ubitis has launched a distributed AI ecosystem, and developed SDKs and APIs to assist game application developers to import Computer Vision, machine learning, deep learning, and other AI applications to make development easier. By integrating Ontology’s high-performance underlying architecture, Ubitus can make use of blockchain, smart contracts, and other technologies to save in AI development costs and ensure all users in the ecosystem share mature AI models and large training databases, which bring great convenience and potential to game industry partners. At the same time, both parties will also carry out in-depth cooperation in product and technology promotion, information sharing, ecosystem construction, and community. Ubitus will also introduce cloud game content and developers to the Ontology ecosystem. “The next trend in the game industry is AI, blockchain, and cloud gaming. The high-profile entry of Google and Microsoft into the cloud game industry shows that the market will become more and more prosperous and there will be more AAA-level games that will release games and cloud games simultaneously. Ubitus not only provides a cloud gaming service platform for game developers with years of industry experience, but has also set up a dedicated blockchain department to explore possible business opportunities. We look forward to making full use of Ontology’s distributed trust technology and build a decentralized AI computing power ecosystem with our cooperation, eliminating industry barriers so that the game industry can embrace more good ideas which will bring a better game content and gaming experience to players”. “In recent years, blockchain, AI, and other technologies have been the focus of attention. This cooperation combines Ontology’s underlying public chain technology, smart contract, digital identity, and data exchange with Ubitus’ rich experience in AI computing power, which will bring new blood into game application and development. We look forward to building the industry’s future with Ubitus”. With a mission of “presenting customer and partner multimedia entertainment services through cloud technology to end consumers in the most friendly and convenient way”, Ubitus has built the world’s first commercial cloud gaming platform, and is also the only commercial LTE and WiFi cloud gaming platform that has been verified by the industry, providing multimedia cloud entertainment services for more than 500 top enterprise partners around the world. In the future, Ontology and Ubitus will focus on AI computing power and the game industry, devoting themselves to building a decentralized game industry. A world-leading GPU virtualization and cloud streaming platform, Ubitus is committed to providing high-quality user experience with advanced technologies. Users can enjoy top-class gaming across devices as long as they connect to broadband. It is headquartered in Taipei, Taiwan, with offices in Tokyo and Guangzhou. Ubitus develops and provides specialized technologies and services, and has released applications across various devices, networks, and platforms such as smartphone, tablet computer, game console, smart television, and computers, achieving a high-quality user experience that can be enjoyed anywhere and at any time. Ubitus has long supported the international development of domestic and foreign gaming companies and software companies, and made joined efforts with telecom operators, network service operators, and game operators around the world to develop cloud gaming.